Revolutionary Love Project: We are hiring! Seeking a Senior Associate and Research Scholar to join Valarie Kaur at the Revolutionary Love Project. 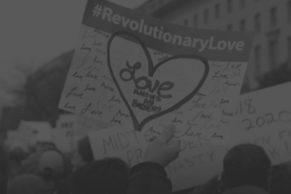 Founded during the last election season, the Revolutionary Love Project champions the ethic of love in the fight for social justice. Kaur is a civil rights activist, lawyer, filmmaker, entrepreneur, educator, and Sikh American justice leader. She is currently writing a book on Revolutionary Love and leading the Project to build a toolkit, film, annual conference, and online community. The Project engages a national network of volunteers, a substantial online base, and a coalition of thought leaders, faith leaders, and advocacy groups. The Project is making its first hires: a Senior Associate to lead communications and strategy and a Research Scholar to support thought leadership. Both positions are currently part-time with the likelihood of becoming full-time. The Revolutionary Love Project is based at the University of Southern California ORL. Candidates may be located anywhere, with a slight preference for Los Angeles. Most work will be done remotely. The Senior Associate will serve as right-hand to Valarie Kaur and co-lead communications and strategy for the Revolutionary Love Project. This position is designed for a professional who can write for public audiences, contribute to high-level movement-building, and manage day-to-day project execution. The Associate must be an outstanding writer and have strong communications experience, including engaging online audiences through e-blasts and social media. We are seeking a candidate who can grow with Kaur over the long-term as a thought partner as well as execute communications with precision and excellence. If you are seeking social justice work with start-up energy, this position offers an opportunity to build the movement within the movement — to champion the ethic of love within the Resistance. Develop short-term and long-term strategic plans for the Revolutionary Love Project. Draft and implement regular e-blasts, calls to action, and social media posts. Help draft grants, articles, and other vital communications as needed. Manage and engage audiences on email and social media and respond to inquiries. Represent Revolutionary Love at meetings with movement partners and at public events. Tap volunteers for as-needed research support. Excellent writing and communication skills for mainstream audiences, i.e. able to produce clear analysis that ignites the imagination and storytelling that moves the heart. Substantial background in writing and engaging public audiences in social movements or related nonprofit organizations. Experience developing a brand, building an organization, and/or leading action campaigns. Ability to build an online community and lead social media engagement via Facebook, Twitter, Instagram, etc. Comfort with WordPress, MailChimp, YouTube and other engagement tools and platforms. Ability to work with flexible hours and in rapid response when required. Strong listening and strategic thinking skills. Entrepreneurial spirit, dedication, flexibility, vision, attuned to the news cycle and pulse of the movement, sense of joy inside the work. This position will begin immediately as a part-time paid position, starting at 10-15 hours/week. It may grow into a full-time position, pending performance and funding. Payment is commensurate with experience. Interested applicants should submit a letter of interest and resume. Applicants are encouraged to use the letter to convey why they are an ideal match for this position and demonstrate communications acumen. Applicants should send a letter of interest and resume to Meha Charaya <meha.chiraya@revolutionarylove.net> on or before July 31, 2017. The Research Scholar will directly support Valarie Kaur in writing a book on Revolutionary Love with OneWorld, Random House. The book is a memoir and manifesto on practicing the ethic of love in an era of rage and will be accompanied by a curriculum and toolkit. It draws upon multiple disciplines and modes of knowledge. The Research Scholar will produce weekly memos on topics that arise in the book writing and engage in regular meetings with the author as a thought partner. The Scholar will take the lead on building the curriculum for Revolutionary Love, as an ethic and practice, and assist the author on the development of the toolkit. The Scholar will be acknowledged in the book credits and have the opportunity to continue to shape the Project as it grows. This position is designed for a professional with substantial research and writing experience, such as an academic, author, or researcher seeking to collaborate on innovative thought leadership. Philosophical, ethical, and theological sources on love. Science, biology, and psychology of love. Legal and political thought on love in social justice and politics. Archival research on family and community histories. Tools for cultivating love as a form of interior, interpersonal, and social transformation. Civil rights issues such as hate crimes, racism, mass incarceration, immigration, etc. Inter-disciplinary thinking, strong educational background, research experience, clear and compelling writing, flexibility, vision, and sense of joy in the work. This paid part-time position begins immediately, starting at 10-15 hours/week. Payment is commensurate with experience. Interested applicants should submit a letter of interest and resume. Applicants are encouraged to use the letter to convey why they are an ideal match for this position and demonstrate communications acumen.